You will need to sign up for an account with Chatango in order to post. Select a username and password, then confirm your password. If your username has already been used by another Chatango member you will have to select a different username. Be sure to write down your username and password plus the email address you used so that you won't forget those details. 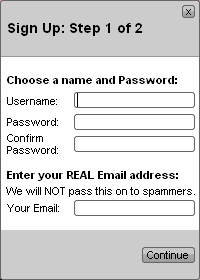 A verification email will be sent to the email address that you used to register. If you don't receive the email, check your spam/junk mail folder. 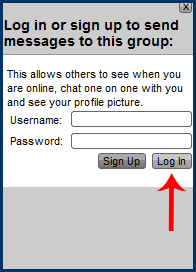 Enter your Chatango username and password and then click the button ~ easier yet, just press "enter" on your keyboard. Note: The button is only used for registering and signing in. To post text, use the "Enter" key on your keyboard. Send mail to webmaster@hornbyeagles.com with questions or comments about this web site.